It starts tomorrow. Are you ready? If you’ve never heard of October Unprocessed, it’s a fun project started by Andrew Wilder at Eating Rules, and the basic idea is to commit to clean, healthy eating for a month. Check out Andrew’s website to learn all about the specifics. If you haven’t done so yet, I hope you’ll take the challenge with me. For me, the benefits were numerous … I started reading labels more, and started paying more attention to all of the ingredients in my food. Once October was over, I kept reading those labels and avoiding processed foods entirely when possible. I realized that I was a pretty healthy eater already, because often I took it upon myself to make something from scratch rather than buy it in a package with a cartoon character on it. To me, it was never a contest, in terms of taste or of health — think about a homemade cheese sauce with pasta versus a box of flourescent yellow mac and cheese. The homemade sauce with no processed chemicals and who-knows-what is infinitely better, albeit more expensive. It also takes time. For some hardworking families, homemade is hard to do. Poor families can score dozens of processed meals for the price of one unprocessed … eating clean isn’t just more expensive; it’s hard. With that in mind, here are some great ways to make it easier. If you have a smart phone, there are dozens of apps out there that will help you count calories, track your fitness progress, and help you shop intelligently. One of my favorites for shopping is Fooducate, which I discussed in my October Unprocessed post last year. They have a great website about learning more about your food, but their smartphone app is really handy. You can scan the bar code of any product, straight from your phone, right in the store, for complete nutritional information, as well as tips for how to use that product (or a recommendation to not use it) depending on your specific nutritional needs. This year, the Foodie app has a collection of really good October Unprocessed recipes. recommend the Foodie app anyway, but I love having these recipes handy when shopping and whatnot. Also check out the hashtag #Unprocessed on other applications you use every day, like Twitter or Pinterest. I have an ever-growing October Unprocessed Pinterest board, so subscribe to it or check back often for more. Last year there was an October Unprocessed 2013 Facebook group, which I found really helpful. This year it’s been transferred to “October Unprocessed” (no year) and I look forward to the same great community of people taking the challenge. Some of the stories there are really, really, inspiring. In addition to great social media ventures and smartphone apps, you can just go old-school: get a buddy. Having a friend participate in the challenge with you makes you keep each other honest and helps you keep your head in the game and stick to your plan. Last year when I took this challenge for the first time, I had a plan. A great one. A super-duper insanely-detailed one. My plan contained daily menus. My plan contained shopping lists and recipes. My plan also lasted less than a week. I had forgotten that although I am a foodie to the bone, I skip meals like crazy sometimes. I had forgotten that on weekdays, I am not spending the time to cook my oatmeal and quinoa from scratch in the mornings before I leave for work. And I had forgotten that … well, I am lazy sometimes. This year I am not doing a month-long meal plan. At least not before I get started. I’m not saying that you shouldn’t make a plan; some people perform better when they have everything planned out in every detail, and if you’re one of those people, by all means, do so. But make a plan that is as tailored to your schedule and your family’s needs as it is to the #Unprocessed plan. Good luck, everyone! Have a great October #Unprocessed! I love a good soup, and I love a versatile dish. This amazing soup can be ready in 30 minutes, and it’s delicious served at any temperature. Right now, it’s a muggy 80 degrees in southern California, but my CSA box hasn’t gotten the message … the produce sections everywhere are full of cauliflower and other fall-like vegetables … so I ate this cold, too! 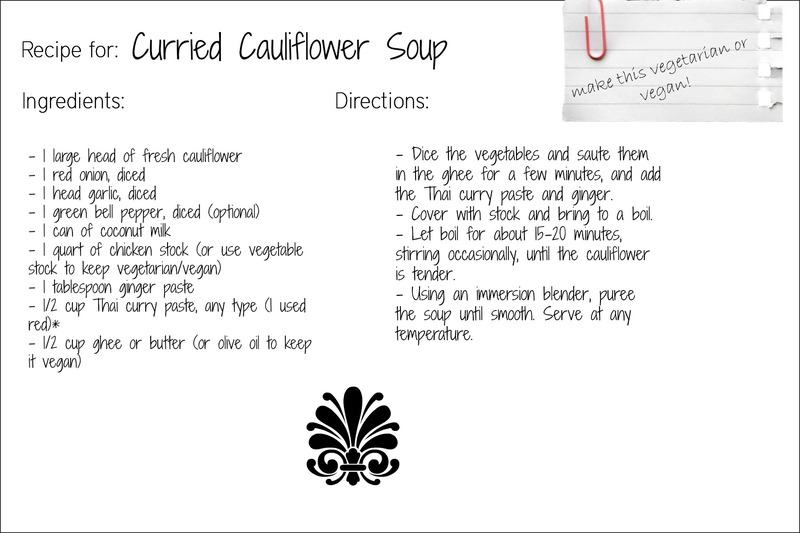 This is also a super-healthy recipe, and will be a big hit during the October Unprocessed challenge next month. For just a few cheap ingredients (either fresh, or probably in your pantry), you can have a simple filling, yummy, spicy soup. Customize it any way you like: I made mine extra spicy, and I used smoked chicken stock (homemade of course), but if you don’t like spicy foods, you can use a lighter curry paste or less of it than I did … and if you’re vegetarian or vegan, you can use vegetable stock. First, dice the vegetables and saute them in the ghee for a few minutes, and add the Thai curry paste and ginger. Cover with stock and bring to a boil. 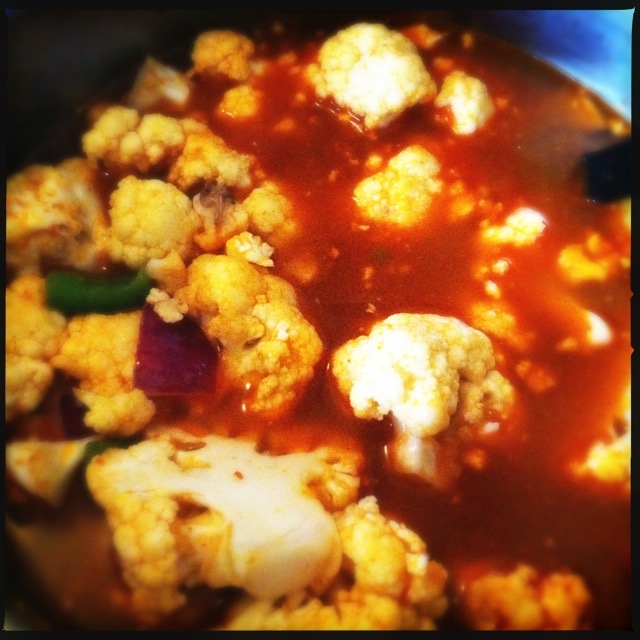 Let boil for about 15-20 minutes, stirring occasionally, until the cauliflower is tender. Remove from heat and, using an immersion blender, puree the ingredients. Add the coconut milk (be sure to shake the can first), and then taste and season accordingly. * Depending on how spicy your curry paste is, you might want to add more broth or more salt. 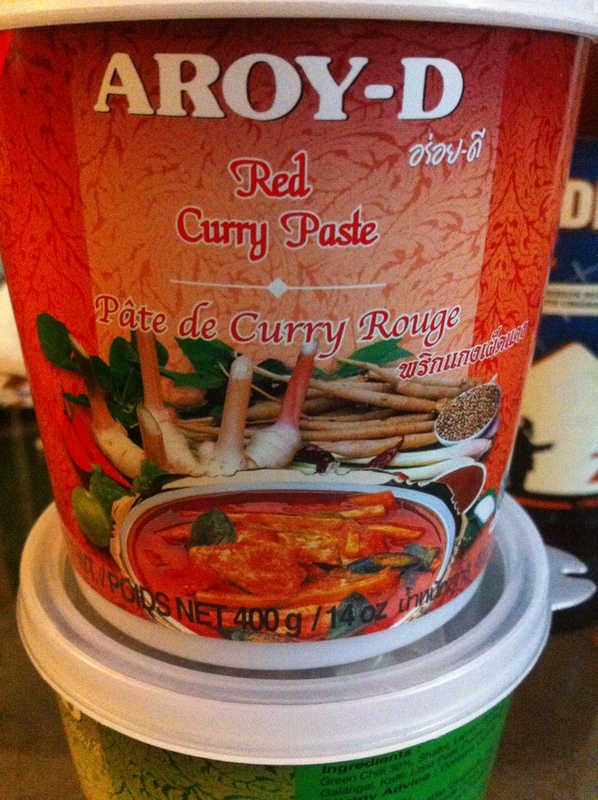 I like mine spicy, so I use an authentic red curry paste. If you don’t like it hot, use less than a tablespoon, or use a milder paste. For this brand (see below) a tablespoon is more than enough to fully flavor an entire pot of soup. Sprinkle with a bit of chili powder on top and serve with some good bread. It will be spicy, but it’s worth it. Last week, I got a big butternut squash in my CSA box and wasn’t sure what to make with it. 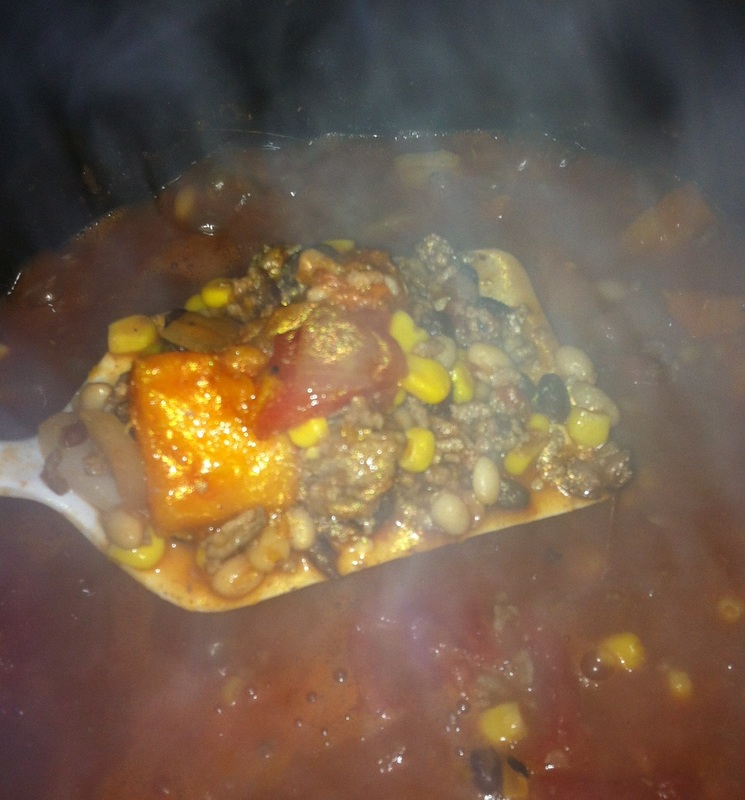 Someone on the October Unprocessed Facebook page recommended tossing it into a chili. I am a huge fan of chili, particularly in the cooler months … it seems to go so well with football and cold, windy weather; but also with cold beers and slices of watermelon in the summertime. I have found in my years that people who are into chili take their chili very seriously and like it a certain, specific, personal way. Some people don’t like beans in their chili, some don’t like the meat. 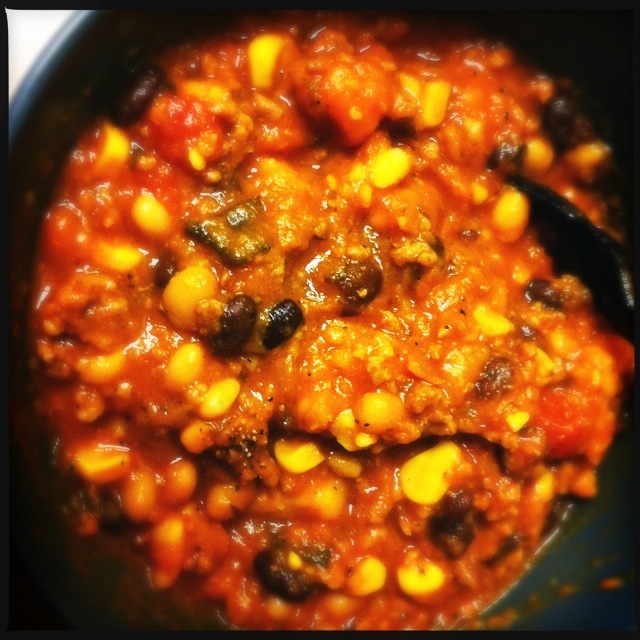 Luckily, chili is also one of the most easily adaptable dishes in the world. I don’t think I have ever made it exactly the same way twice. Personally, my signature chili is with ground meat (beef, turkey, lamb, pork, or a mixture) and beans (usually more than one kind). It always has tomatoes (canned and/ or fresh) and usually has corn, and depending on the style, has some sort of chili pepper in it. Since this one is already packed with levels of flavor, I didn’t want to overdo the spiciness, so I used dried chili powder to taste and chopped sweet peppers. Also I would usually load a bowl of chili up with sour cream and grated cheddar, maybe even served over the contents of a bag of Fritos. This month I am doing the October Unprocessed challenge, so I am just eating it “plain” … if you can call this plain. It’s not. But chili is a personal thing; if you don’t want meat in your chili, or you don’t want the beans, or you would rather have a wicked hot jalapeno pepper, then by all means, adapt this recipe to your tastes. This is just my way. 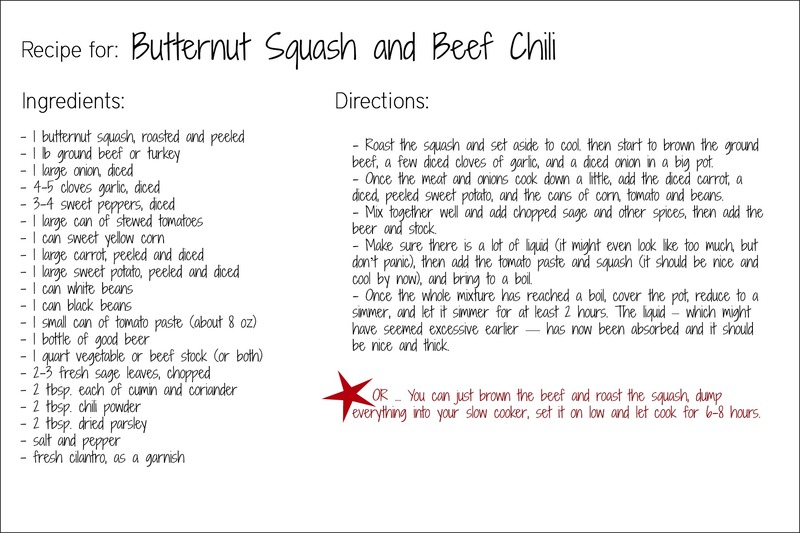 I basically adapted my standard chili recipe to include the squash and some other Autumn-y flavors. Seriously I think this is the best chili I’ve ever made. A note about how to get into that butternut squash: Some of you may recall that last year, when I first ventured into cooking fresh pumpkins, how happy I was to have discovered an easy way to get the most out of the gourds. I pretty much have used the same technique with Red Kuri squash, pumpkins, and now butternut squash. Basically, if you have a type of squash with a very hard peel, and you are using it for the meat inside (as opposed to say, a baked acorn squash where you just stuff the squash and leave the gourd intact), it’s super-simple: cut it as much as you can, into workable chunks, and then broil, grill or roast it. Personally, I use my outdoor grill to roast the squash, mostly because it’s fast, simple to use, and doesn’t require turning my oven on (which always makes my apartment really hot — even in the fall, it’s too much). 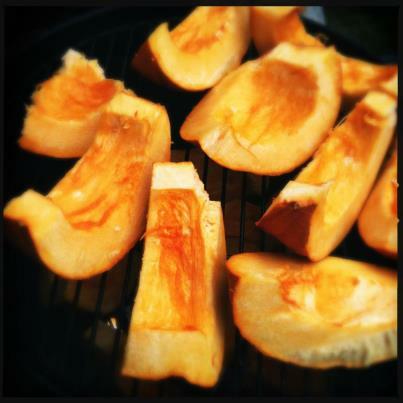 So I hacked the butternut squash into 4-5 hunks, and put them, dry, on my grill over high heat for about 30 minutes. Keep an eye on them if you roast them over an open flame like that, or do them in your oven for about 30-45 minutes, or until they get a little bit soft (but not too soft). Once the pieces of squash have cooled a little, the peel will come off very easily. By the time my squash was roasted and cooled, I had already started to brown about a pound of ground beef, a few diced cloves of garlic, and a diced onion in a big pot. Once the meat and onions cook down a little, add the diced carrot, a diced, peeled sweet potato, and the cans of corn, tomato and beans. Mix together well and add chopped sage and other spices, then add the beer and stock. Make sure there is a lot of liquid (it might even look like too much, but don’t panic), then add the tomato paste and squash, and bring to a boil. Once the whole mixture has reached a boil, cover the pot, reduce to a simmer, and let it simmer for at least 2 hours. The liquid – which might have seemed excessive earlier — has now been absorbed and it should be nice and thick. You can also just brown the beef and roast the squash, dump everything into your slow cooker, set it on low and let it cook for 6-8 hours. As with most chilis, the longer you let it cook, the more flavorful the final product will be. Ok, so this recipe wasn’t entirely a success. 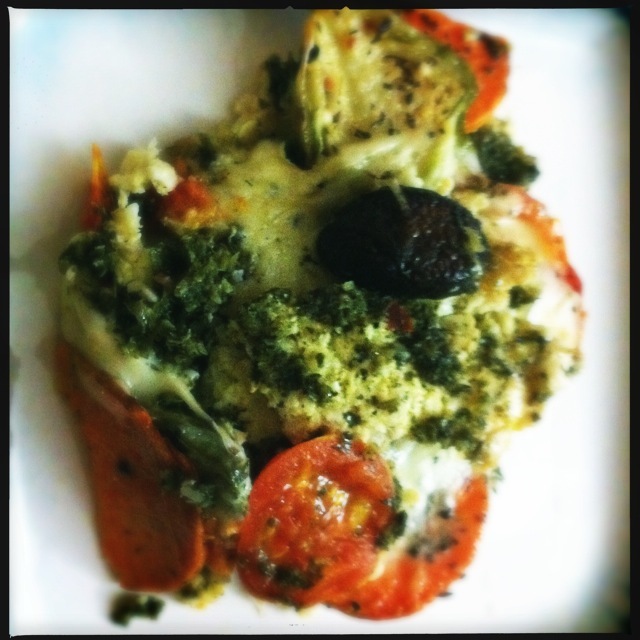 I had been looking at recipes all day, and lots of people on the October Unprocessed 2013 Facebook page (check it out if you haven’t yet) were posting photos of cauliflower crust pizzas that looked really good. But first, I had to pick up my CSA box from the farmer’s market. Look at all of these goodies … it practically screams “fall,” doesn’t it? That’s a big bunch of kale, green beans, melon, summer squash, sunflower greens sprouts, tomatoes and red kuri squash. I had a banana and some granola for breakfast, and baby carrots and hummus for lunch. I was gearing up to make a big supper. My plan was for a cauliflower-crust pizza, but my crust didn’t get crispy enough, so it was more like a big, spicy Autumn casserole. It was pureed cauliflower mixed with an egg and a bit of oil (spread it in a pan and bake it by itself until its crispy — I just jumped the gun and added all of the toppings before it was time). I used homemade chimichurri as a sauce, and roasted some sliced sweet potato, Brussels sprouts and mushrooms. I also added sliced fresh tomatoes from my CSA box, plus homemade mozzarella cheese. Again, it wasn’t like a pizza, but it was darn tasty. Ok, it’s getting down to the wire here. All weekend, I have been trying to get rid of all of the processed foods in my kitchen, and working on a meal plan that will make the next 31 days go by a little easier … and I’ve discovered a little bit about my eating habits already. For one, I eat a lot healthier than I assumed I did. Bar the occasional box of cookies that I am sure someone brought to my house and left behind, the vast majority of “processed” food I have is simply convenience food: pre-made, frozen meatballs and sausage (they’re just easier to toss into a pot of sauce or soup), frozen shrimp (probably not very processed, but I think they are injected with water and probably other preservatives), premade salad dressing (honestly, I don’t even know why I have this; my own dressing is unprocessed and superior in every way to this), and pasta sauce from a can (who has time to make sauce?) and condiments of every kind. … and used the sausage and meatballs, plus canned pasta sauce and more of that processed parmesan from a can, over some spaghetti squash. Awesome! Secondly, as far as condiments, I think I have that covered. I have made my own ketchup (seriously, homemade curry ketchup is like the greatest thing in the world), my own mustard and relish, and my own habanero salsa. So I guess I am covered if I can find myself some unprocessed hot dogs (do those even exist?) and a big bag of unprocessed tortilla chips. I plan to make some more ketchup this week when I get my CSA box on Wednesday. 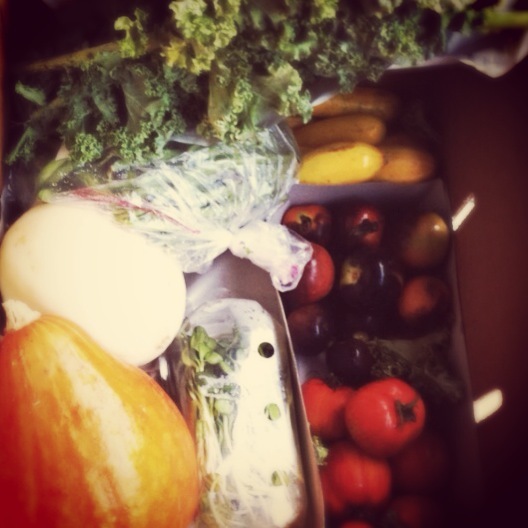 This week (well, on Wednesday), I will pick up my box, which this week, contains pea greens, kale, sweet potatoes, beans, tomatoes, summer squash, melon, and Blue Hubbard squash. Based on the good stuff I get this week (but won’t actually pick up til the day after the October Unprocessed Challenge starts), I have tentatively written out my menu for the next week. Here is my plan for the next 7 days … a few pointers. 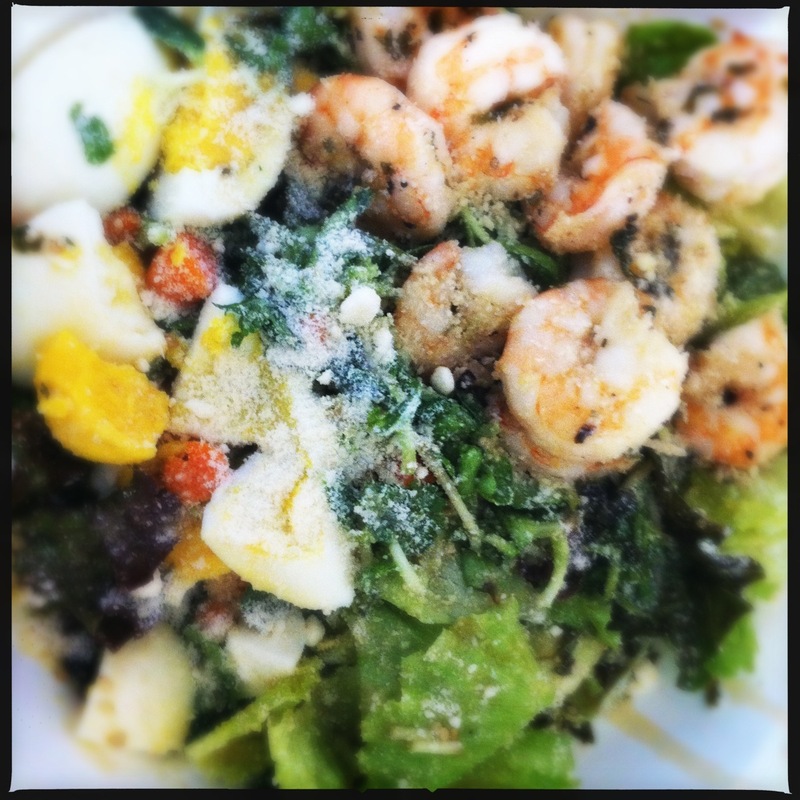 I am a huge fan of the leftovers-for-lunch. I am a single girl and it’s beautiful and rare to find a good recipe that is worth cooking that is only for one person. Almost everything I cook has leftovers, and taking what’s left from dinner to work the next day allows me to be sure what I’m eating, and, more importantly, to not be tempted by the office lunches, packed with who-knows-what. I also don’t usually eat a very big or filling breakfast, so most of my breakys will be a piece of fruit, an acai bowl or a smoothie. What are your meal plans shaping up like for October? Please share! 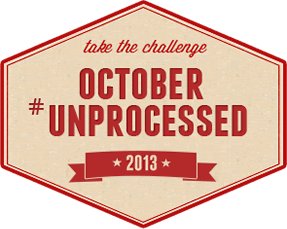 Ok, so starting two weeks from tonight, I will embark on the October Unprocessed Challenge. I decided about a week ago that I would take the challenge, and I am glad I gave myself some time to prepare, because the more I think about it, the harder I think it will be. Mostly, I have been analyzing the meals and snacks I eat regularly and trying to figure out how the heck I am going to make them unprocessed. More than likely I will just have to give them up for a month. 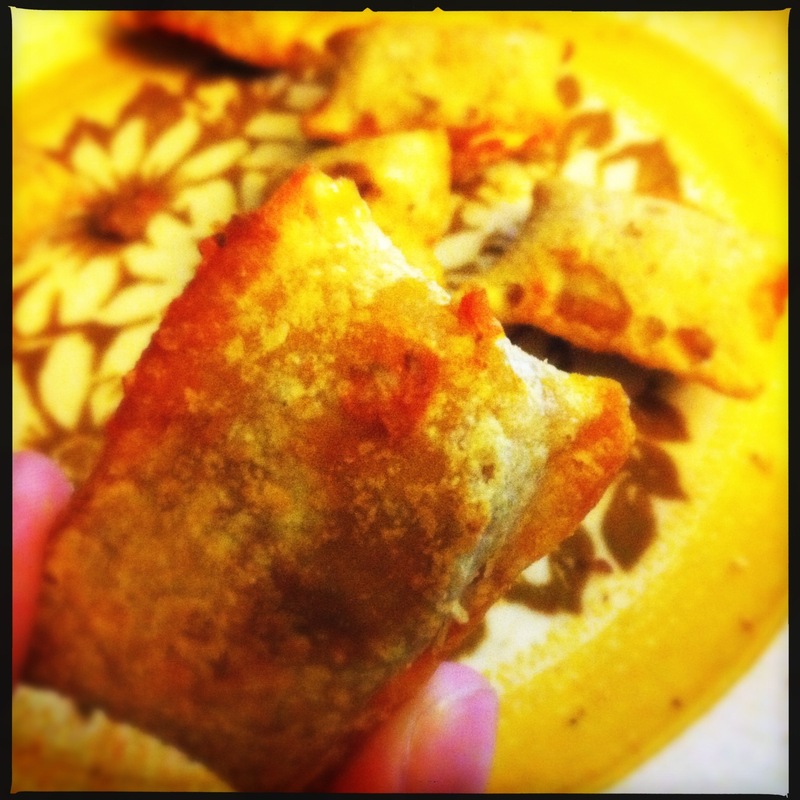 Pizza Rolls, I think I’ll miss you most of all. Even though the concept of a diet consisting entirely of unprocessed foods is a pretty ancient one — in fact, the idea of it being a challenge is what is fairly new — I am using modern technology to assist me for the month of October. First, I am joining a local CSA, or Community Supported Agriculture project. The packages and prices vary depending on the farms in your area, but essentially, you purchase a subscription and get a periodic delivery of fresh, organic produce. Mine will be a weekly delivery that I can pick up at a farmer’s market just a few blocks from my apartment. I understand that not everyone is as lucky as I am to have such a sweet CSA setup, but if you are taking the challenge, too, check out CSAs in your area. You might be surprised what you find. Second, Pinterest is really becoming a great internet resource for easily locating specific kinds of recipes. I have pinned and repinned a number of appropriate recipes for October Unprocessed, and I plan to pin more as the month progresses. 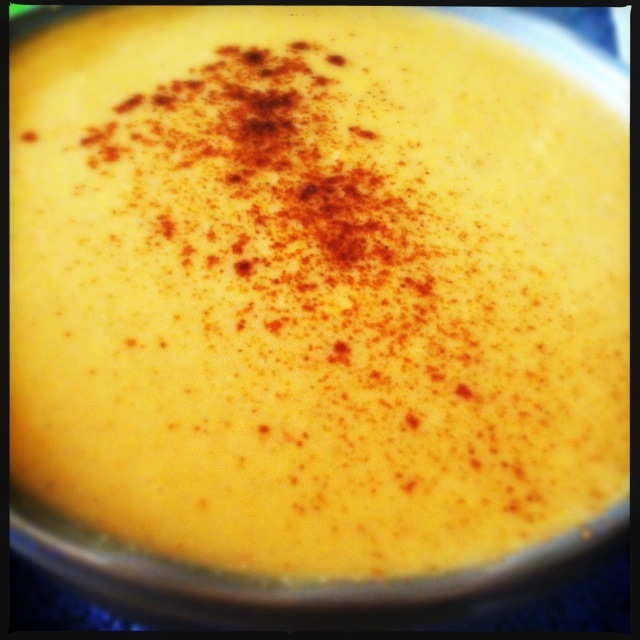 Please check back with my October Unprocessed recipes board for all the good stuff. Third, and this doesn’t have to be a technological advance (although virtual buddies work well for this, too), get yourself a buddy who is also taking the challenge! I managed to convince my pal Sarah, author of the fabulous cook.can.read food blog, to join me in the challenge. I think it will make it easier to have someone to cheer you on and give you inspiration. Lastly, if you are a smartphone user, there are a number of applications that help you plan a diet or research something. I have been using the Fooducate app, a free application for iPhones that lets you do a variety of tasks. 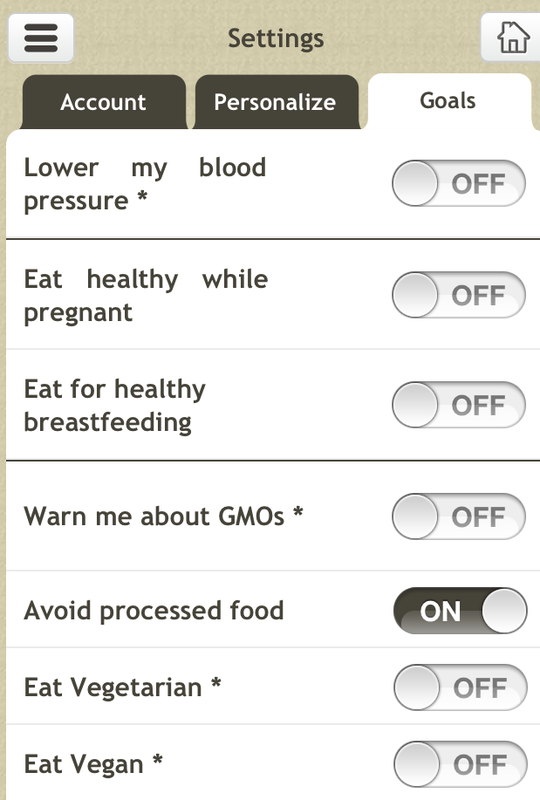 For the purposes of this project, it lets you scan items in the grocery store for GMO labeling and processed food alerts, and it helps you plan meals, recipes, shopping lists and food diaries. 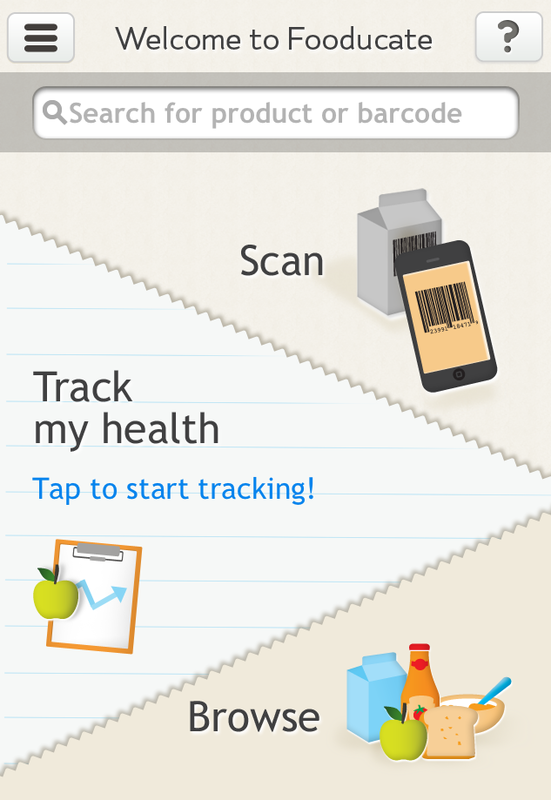 I set mine to alert me when I scan an item with processed foods (we’ll see how well that works when I get to the store this weekend) — but you can target almost anything using this application or about a dozen similar ones. I know it might seem a little silly, to scan a grocery store item to see if it’s processed, when in general, you assume that you would know if it was processed or not. If something like this app will help you to stick to the plan (I think it will for me), then try a free app and see how it works. Also, if you’ve been reading the news lately, there is a lot of noise about misleading labeling, particularly when it comes to GMO foods. The main goal of this sort of project is to make us more aware of what we eat, what we cook, where it comes from and what happens to it before it gets to us. I like having apps like this and doing projects like October Unprocessed, just because it makes me more aware of what I eat on a daily basis. I’ll keep you updated on my progress as I prepare for October (I think a cleanout of my refrigerator and freezer is in order, post-haste) and get started on the challenge.